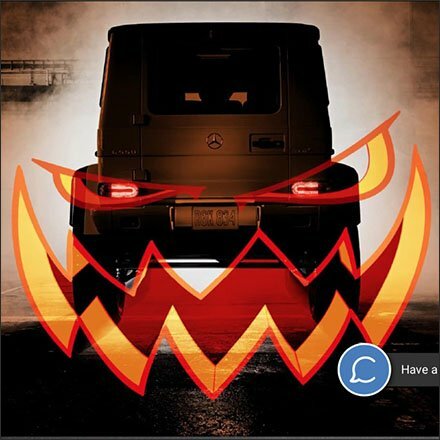 What better way to celebrate Halloween than to Trick or Treat Yourself to a Mercedes Benz? But you will need to hurry to grab one of these spooky looking G-Class Geländewagens (I own one in Alien Green). Best place to shop? How about Mercedes Benz Manhattan, the brand’s Flagship dealership and the only such owned outright by Mercedes Benz. FixturesCloseUp has been there, reported fixturing there, and test driven the latest and greatest there, so can recommend the experience personally. Stop by or call ahead for Halloween Holiday reservations. No New York City parking problems in that on-site underground parking is part of the deal at 770 11th Avenue, New York City. So Trick or Treat Yourself to a Mercedes Benz today.